Grocers, Bakers, Tailors, Coal Merchants, Joiners, Blacksmiths, Cartwrights, Boot & Shoe Makers, Innkeepers, Stonemasons, Millers, Woollen Manufacturers, Post Office, Lace Makers, Goods Carriers and even Quarries and Mine workings. Many of these remained in the same families for generations. The Woollen Mills just outside the village at Waulkmill and Tarff played a very important part in the community offering much needed employment to many of the men and women. During World War 1 (1914/18) the mills employed the whole village making blankets for the troops. Such was the importance of the mills to the village that their history will be covered on a separate page. Even in the 1950s a good many still remained. This is an aerial shot of part of the main Street showing some of the buildings used as business premises around that period. The buildings may not all have been used at the same time by the businesses named. 11. Sam Griffin's (Blacksmith) Smiddy. 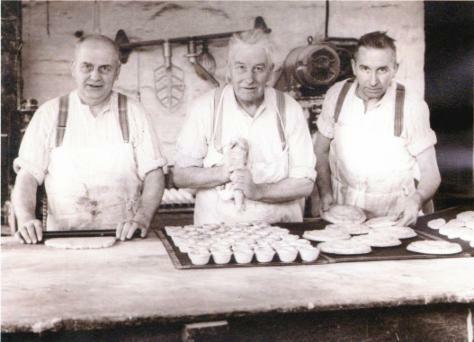 Note: To the left of the photo there would have been David Crozier (Tailor), Jim Crozier (Post Office & Stationers in the former Commercial Hotel, McKnight's shop and garage. Behind number 1 on the photo you would have found David Murray's Joinery. Tom McGeoch, John & Jean Paterson, Irene & Willie Paterson and Jim Montgomery beside Paterson's delivery van. 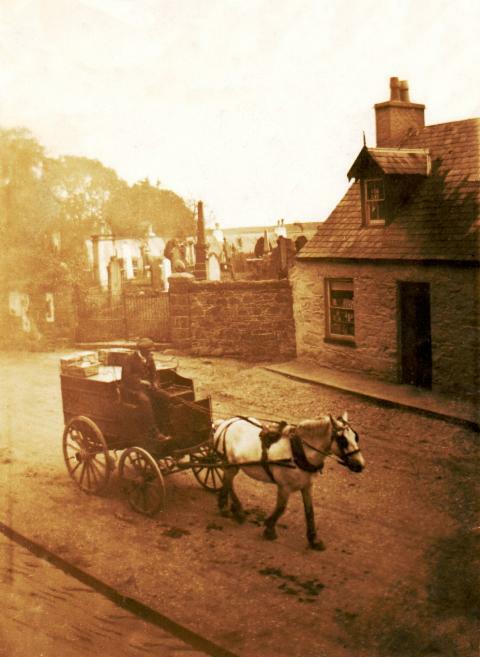 Paterson's delivery pony and cart passing Cathcart's grocery shop at lower end of the village. the trap was being driven by Robert Paterson (father of Willie & John). 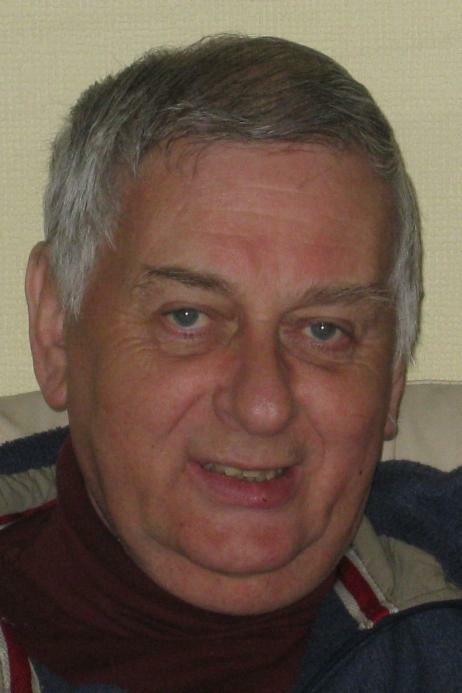 Photo below of David Rae (son of Robert Rae) who sadly died in April 2009 at home in Kirkcowan.